A gambling and gaming company has achieved 75% in cost-savings with Amazon Web Services (AWS). The return on investment (ROI) it has achieved is incredible and, more importantly, it can be replicated by banks and other financial services organisations at a time when the European Union’s General Data Protection Regulation (GDPR) are just around the corner – coming into force on May 2018. So, now is a good time for banks to think audit their back-up and storage to achieve both cost-savings and regulatory compliance. The gambling and gaming company is keeping some of its data on-site and some of it resides in the cloud. To improve the speed at which it can back up and restore its data, the firm has used a data acceleration to reduce the time it takes to back up its data. The less time it takes to back up data, the more it can save financially – and that’s despite growing data volumes. The larger the data volume, the more challenging companies, including banks, find it to move data to and from the cloud. David Trossell, CEO and CTO of data acceleration company Bridgeworks, explains: “The rush to put everything in the cloud and run the organisation from there has had an impact on internal service-level agreements (SLAs). An example is of the gaming company. After migrating everything to the cloud, the response for the HQ staff accessing the database in the cloud became unacceptable: this is purely down to the time it takes to get from the HQ to the cloud, a factor of the speed of light. So, unlike WAN optimisation, which can’t handle encrypted data, WAN and data acceleration optimise the velocity of data transfers. Data acceleration also mitigates the impact of data and network latency, which can even have a negative impact on DRaaS. Beyond data acceleration, the trouble is that there is no efficient traditional way of moving the data around, and the options are often limited for customers. He continues: “Transferring large amounts of data to the cloud, either as part of the initial seeding of the cloud or utilising the cloud as part of an archive, BaaS or DRaaS amounts to a different matter”. 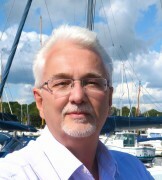 Many organisations fail to comprehend that even a high bandwidth WAN connection to the cloud, latency and packet loss can severely affect the performance of the connection, he notes. This then becomes a risk issue. “So, do you select a cloud provider that is close to you to reduce the latency? You could suffer the same outage or denial of access as you are located within the same circle of disruption. Or do you suffer severe performance drop off across the WAN? These are questions she thinks should be closely scrutinised,” says Srinivas. There are several options available today, and cloud gateways are considered but one of them. From a Nutanix perspective, it’s good for organisations that are re-architecting with next generation operating systems for data centres that understand the cloud. 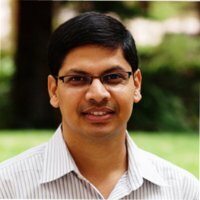 Srinivas also believes that cloud gateways are “for customers wanting to extend the efficiency of legacy architectures, gateway vendors have provided some stop gap optimisations”. He comments that the cloud gateway “holds the most recent set of data for fast restores to the in-house systems. However, these gateways have a number of aspects that the user should be aware of.” So, to get good “de-dupe ratios”, he recommends that the data has to be fairly stable. “A data set has large amounts of change, especially with encrypted or compressed files, will hinder and slow -the de-dupe process”, Trossell explains. So, what are the options from Trossell’s perspective? Data acceleration is certainly one of them, allowing organising to maintain acceptable levels of recovery point objectives (RPO) and recovery time objectives (RTO). Data acceleration, he explains, takes a different approach to maximise the throughput over the WAN from that of the traditional WAN optimisation. The trouble is that many organisations can miss their RPOs and RTOs whenever they move data around. “It all boils down to design. If you have, say, zero RPO requirements, there is no other option than moving data within the 5ms network boundary. In turn, this translates to the maximum distance your secondary datacentre can be situated”, says Srinivas. Trossell finds that organisations with a requirement to have data held offsite have always been faced with the distance and speed dilemma. So, the further you go, the slower you go. “In the past, the compromise (whenever there are large volumes of data involved), has been to use tape devices and a safe repository such as Iron Mountain,” he reveals. He claims that with WAN and data acceleration and their ability to maximise the WAN capacity regardless of the distance involved, it is now possible to have datacentres, or the cloud thousands of miles away, whilst retaining performance and the RPO requirements. So, how is this traditional technology, such as WAN optimisation, inhibiting cloud back-up and storage – including encrypted and deduplicated data used in a cloud gateway? “The need for all these technologies will vanish over time as the new paradigm of a cloud operating system, that melds both private and public and understands application behaviour and its data come into the fore,” thinks Srinivas. To back up and store data both securely and efficiently, while also overcoming the challenges of back-up and storage, organisations must understand their business goals. They also need to comprehend application behaviour and data patterns. It’s also crucial for them to plan their environment to permit them to adhere to service level agreements, and they need to ensure that part of this planning and analysis includes thought and action to ensure regulatory compliance. They also need to build a security methodology for each element of their design. From a Nutanix perspective, SD-WAN is a must, however, WAN and data acceleration are something that banks could certainly do with deploying.